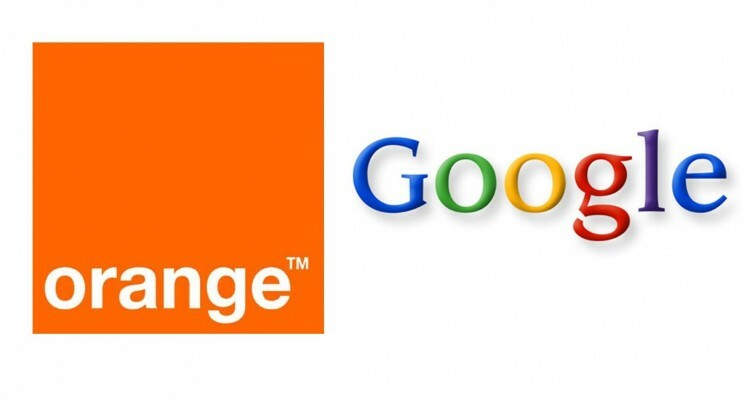 Orange has announced a new partnership with Google that aims to bring mobile internet across its full African and Middle Eastern footprint by combining the strength of Orange’s mobile network and mobile expertise with Google’s mobile applications. This move will offer customers the best of both partners in terms of access and content through an all-inclusive digital communication package that has seen the 2 corporate giants come together to deliver a package that is tailored to meet the needs of the market and end customers. Customers across the Orange Middle East and Africa footprint will now have access to a range of online services including, but not limited to, popular content covering fashion, sport and music, as well as everyday tools such as Search, YouTube and Maps all provided under the stable of Google products. The partnership will further address the mass market for Orange in Africa and the Middle East through an educational campaign where customers will be offered advice to better understand the benefits and direct value that mobile internet can bring to them. Crucial information such as the ability to locate the nearest health clinic using Google Maps as well as language translations, such as English and Arabic and vice versa, and will be supported to enrich the customer experience, with additional languages to be added throughout the year. The digital communication package is especially well-adapted to youth who have high data usage and want the latest generation smartphone. Customers will receive one of the most competitively priced tariff plans in the region starting at $40 (approx. KES 4,000), which will consist of a high-specification smartphone and a communication bundle with voice, SMS and data. The offer will be delivered in a phased approach and will start to roll-out across the full Orange MEA footprint in Q2 this year. The device will launch with the native set of Google services and the goal of the partnership is to develop local services and content over time. The affordable offer will launch on the Orange Rise 31 Special Edition, a new and exclusive Orange branded 3G device. As the flagship model of Orange’s 2016 smart family line-up for Orange MEA, it will be running on Google’s latest OS Android 6.0 Marshmallow, has a 4-inch screen and comes with the latest version of Orange Experience 8 to ensure a smooth and supportive smartphone experience. The smartphone is a powerful quad-core product, boasts a high memory package (1GB RAM/8GB ROM) and will provide access to the full suite of Google Apps. Coming with a 3 mega pixel camera with LED flash and a 1500mAH battery, it will be the first Orange customized smartphone to run Android 6.0 Marshmallow at a low-price point.